Hey! 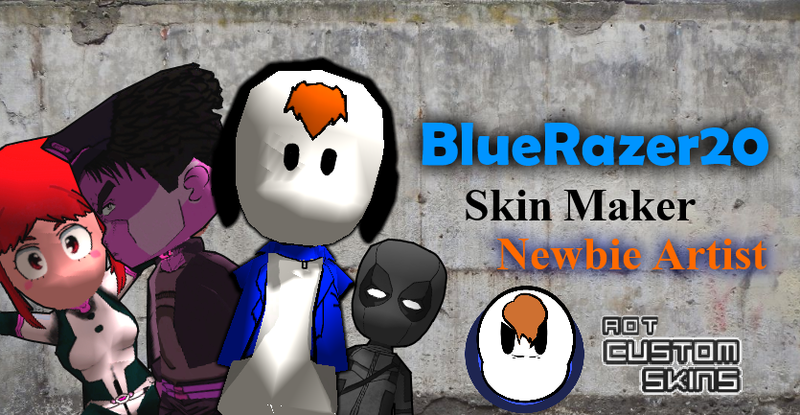 BlueRazer20, Skin maker here. My main use in editing pictures and making skins is Paint.Net. I used to make skins for an old Guild (Shooting Star). My In-Game Name is BluRaz20. The skin list will be updated whenever I make a skin. Note; This post will be updated if I quit or not. So, that means I'm still alive. Yay! Last edited by BlueRazer20 on May 3rd, 2018, 3:46 pm, edited 9 times in total.